London, 13th September 2018 – Today ASA Studio releases BFF or Die on PC for Windows, Mac and Linux after more than four years in development. Congratulations! It’s graduation day at the Intergalactic Time Academy! No time for celebrating though, the Orbees are missing and your first mission is to find them. We have a trace on their signal so jump in the Space-Time Machine and go rescue them! Prepare for a time-travelling adventure of cunning and camaraderie. BFF or Die is both a single player and a local multiplayer co-op game where characters and players must work together to survive. Friendships will be strengthened and teamwork will be tested in a unique adventure. BFF or Die is all about togetherness and will have players gathered around the PC or TV remembering what was good about the time gaming was all about playing with real life earth humans. Two players can share the same control pad or take control of different sides of the keyboard or you can go the traditional route and have a separate controller each. So grab your BFFs and get ready for some exciting co-op puzzling for 1-4 players. Once you’ve rescued the Orbees you can attempt The Infinite Trials for some extra hard and unpredictable challenges. In BFF or Die everyone has their role to play. Each teammate controls a gadget – lights, drones, towers and more; all these skills must be combined to overcome challenges and stay alive. Work together or you die together. BFF or Die has enjoyed a string of successes since 2014 including being successfully Greenlit on Steam in six days and being granted funding by the UK Games Fund. An early prototype was awarded Best Multiplayer Game by an industry panel of judges in the UK leg of Game On 2.0, the prize being part of a nine month exhibition showcasing the history of video games which was organised by TIGA and Barbican. 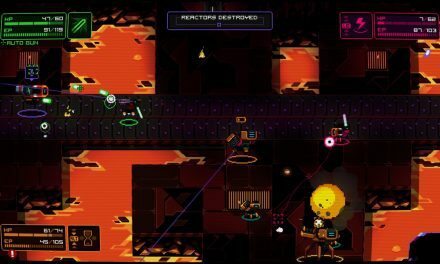 BFF or Die was featured on the Develop Conference Indie Showcase and at PAX West by Intel after winning a spot in their Level-Up competition.